Gbp/jpy is showing signs of bullish divergence on the daily chart. Placing stop at around 141.13, entry is possible above that. From the charts, GBP may strengthen in the short term soon. Those looking to trade this can look at EUR/GBP to go short, and to go long on GBP/JPY and GBP/USD. Price at current levels now presents a good entry point. 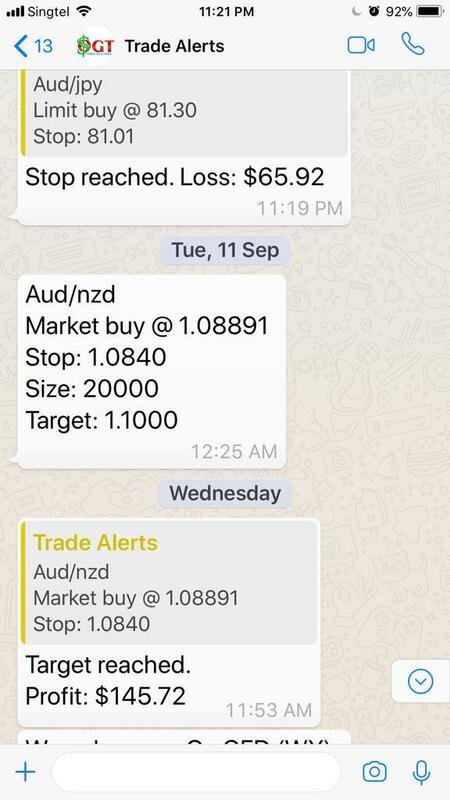 Did a trade on AUD/NZD on 11th September and it was sent out to my free members group in telegram and also to my paid members. And 8 days later reached profit target with a profit of over 100 pips. We all know we will have winning trades and losing trades. And we also know that whenever we trade, we cannot control whether we will have winning trades or losing trades. But we can control how much we lose (when we lose) by putting in place stop loss to limit (control) our losses. If a trader can make sure that when he loses, his loss is $1 and when he wins, he profits $2. Then even if he loses 6 trades out of 10 trades and wins only 4 trades, he will still be overall profitable. where I share my trades and analysis there.